Lewis the shop cat on the job. Lewis, the friendly store manager at the Downtown Home and Garden in Ann Arbor, MI, is back to work. The 15-year old manager, an orange tabby cat, went missing for a few days, said Mark Hodesh, the store's owner. Everyone loves Lewis and the news was distressing. The shop posted "Missing Cat" signs and made an appeal to the community on Facebook and Twitter. Several days after the cat disappeared, two girls walked into the shop with him, reported AnnArbor.com. Perhaps he was taking a little time off; he was found lounging in someone's yard. Lewis modeling on Downtown Home & Garden's website. "Lewis has regular visitors," Hodesh said. "He means a lot to a lot of customers. He gets his fair share of mail from people. People driving south to north even come into Ann Arbor just to pet Lewis, then get on the road again." "It was so nice to meet Lewis today! I'll be back later in the week to get his opinion on a new office plant." What a wonderful story!! I believe Lewis just decided to go on a vacation :-) Being store manager must be a tough work. I am so glad he is back! thank goodness Lewis is home safe and sound! I had tweeted it and shared it on Facebook when I first heard the news. We are so glad he's back! Oh I remember hearing he went missing!! I'm so glad they found him!! Thank goodness he was found! 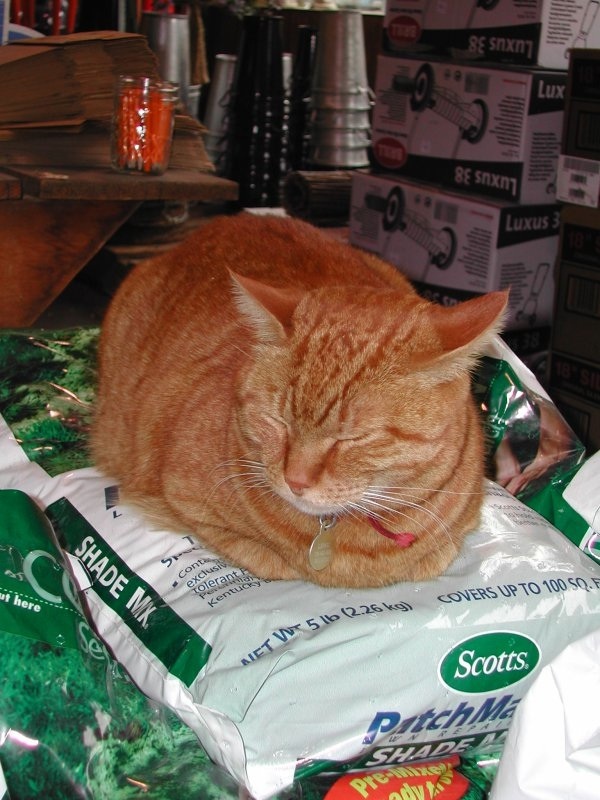 I love "shop kitties" -- my Home Depot in California had one, they gave him his own little area in the garden shop with bed, bowls etc. so you always knew where to find him.